This came from a fountain pen postcard correspondent. 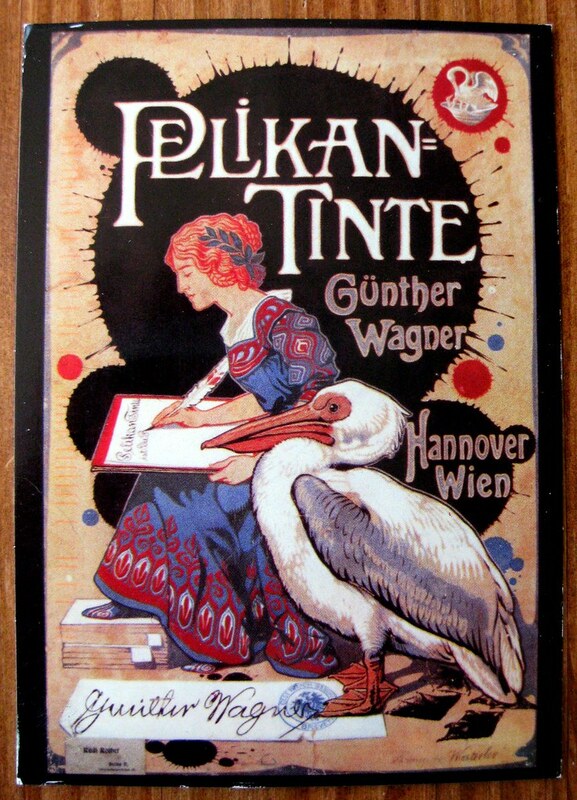 I love the meta factor, of course - and Pelikan is a famous maker of fountain pens and ink. my dear you get the most awesome post cards and I am severly jealous of these . LOL !!!! Thanks for letting me know that you were going to blog the Pelikan card that I sent to you. It is nice to hear the positive comments of others as well. It is so enjoyable to exchange postcards and letters with so many nice, interesting people around the globe. Keep up the good work!